Country superstar Billy Currington; Amy Ray of the Indigo Girls; singer/songwriters Trea Landon, Jon Langston, and Cole Taylor; and a surprise, multiple-award winning chart-topper have been added to the already impressive lineup of The “Fourth Annual Jameson Irish Whiskey Presents Georgia On My Mind.” The concert, which benefits the Georgia Music Foundation, will be held Tuesday, May 16 (7:30 PM/CT) at the historic Ryman Auditorium in Nashville. 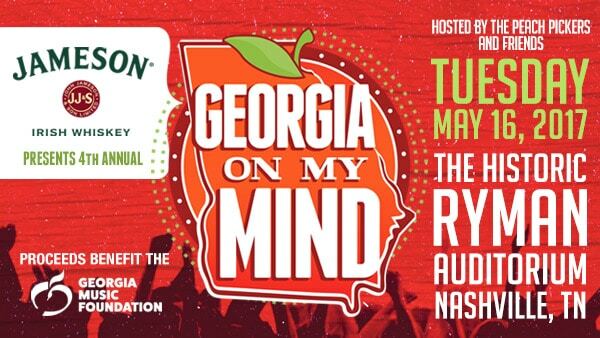 Hosted by the Peach Pickers – Rhett Akins, Dallas Davidson, and Ben Hayslip – the concert benefits the Georgia Music Foundation. 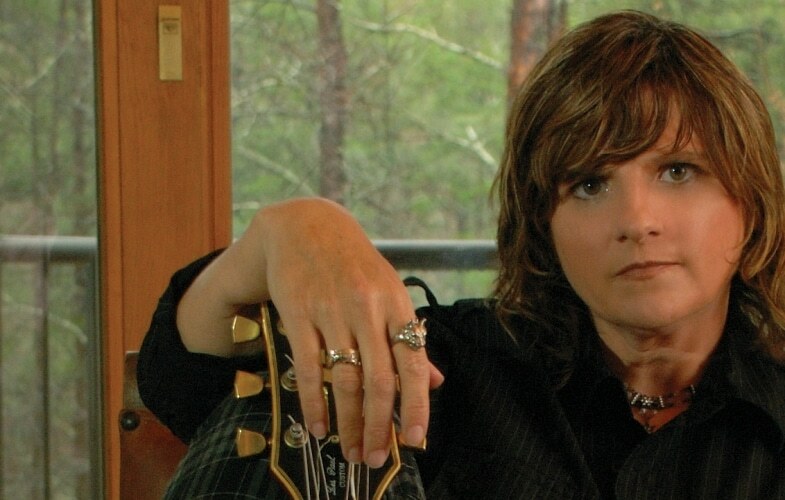 Tickets, which are still available are $52.50 and $42.50 and can be purchased via Ticketmaster outlets, ticketmaster.com, ryman.com or by calling 800-745-3000. Friends of the Peach Pickers who have already been announced include current chart-toppers Lauren Alaina, Chris Janson, Kip Moore, and Michael Ray; Grammy-nominated singer/songwriter T. Graham Brown; Georgia Music Hall of Famers Drivin’ N Cryin’ and Jimmy Hall of Wet Willie; and back by popular demand this year, Dexter Redding and Otis Redding III, sons of the legendary soul icon Otis Redding. The evening also includes a special performance by students from the Georgia Pick and Bow Traditional Music School in Dahlonega, who received a grant from the Georgia Music Foundation in 2016 from concert proceeds. Over the past three years, “Georgia On My Mind” has gained a reputation for surprise appearances by unannounced guests. Friends joining the Peach Pickers on stage have included Luke Bryan, Jason Aldean, Big Boi of Outkast, Thomas Rhett, Cole Swindell, Kevn Kinney, Lee Brice, Craig Campbell, Tyler Farr, Maggie Rose, Daryle Singletary, Brent Cobb, and more. The Peach Pickers, all Georgia natives, have accumulated more than 70 No. 1 songs collectively and individually since 2010, and earned numerous awards and accolades. Their respective catalogs include hit songs “I Don’t Want This Night To End,” “All About Tonight,” “Gimmie That Girl,” “Just A Kiss,” “When She Says Baby,” “Boys Round Here,” “It Goes Like This,” “We Owned The Night,” “I Don’t Dance,” “I’m Gonna Love You Through It,” “Point At You,” “That’s My Kind Of Night,” “Rain Is A Good Thing,” “Small Town Throwdown,” “Huntin’, Fishin’ and Lovin’ Every Day,” “Star of the Show,” and many more. Jameson Irish Whiskey is a smooth and perfectly balanced triple distilled Irish Whiskey rooted in Irish heritage dating back to 1780 when legendary John Jameson released his first cask. The brand’s success comes down to the skilled distillers that ensure Jameson’s unique taste and the communities who have supported its handcrafted quality for hundreds of years. Reliably timeless and simple, Jameson is best enjoyed during great times with great friends. It has all the quality credentials to allow it be consumed straight, but is versatile and is equally great when mixed. Follow Jameson Irish Whiskey @JamesonWhiskeyUS on Facebook and @Jameson_US on Instagram and Twitter. Please enjoy Jameson responsibly. Georgia Tourism is proud to announce that Georgia’s live music and music heritage landscape made National Geographic’s prestigious list of 21 “Best of the World” destinations for 2017. To plan your next vacation around Georgia music, visit www.exploregeorgia.org/music or connect with Georgia Tourism on Facebook, Twitter, and Instagram.